The vertical drop from summit to base is 5138 ft. The average difference in altitude between base and summit of Ski Resorts in Switzerland is 2890 ft. Most runs are therefore relatively long. The highest point of the track is 8091 ft above sea level. Portes du Soleil is among the 10 best rated Ski Resorts in Switzerland. 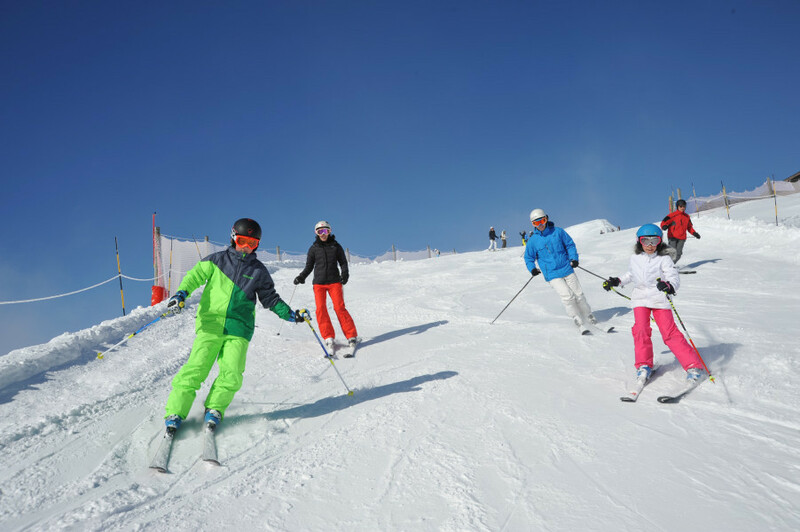 It is among the 15 most family-friendly ski Resorts in Switzerland. Season starts on Dec 14 and ends on Apr 22 (129 days). Average season duration in Switzerland is 112 days. Average snow depth during the season (Dec 14 to Apr 22) is 94 " at summit elevation and 59 " at base elevation. Snow coverage is usually best during March, offering an average snow depth of 116 " at summit elevation and 72 " at the base. Portes du Soleil features 65 sunny days on average per season. The average for all ski Resorts in Switzerland is 55 sunny days. April is the sunniest month with an average of 18 sunny days. This makes the ski resort one of the 5 sunniest in Switzerland. Offering 404 miles of slopes and terrain, Portes du Soleil is the largest ski resort in Switzerland. © Chatel Tourisme 179 hours of skiing pleasure are guaranteed in the Portes du Soleil ski area, which links a whopping twelve Alpine resorts in France and Switzerland. Portes du Soleil, the gateway to the sun, is a major destination for skiers and snowboarders in the Alps. Encompassing two countries. namely France and Switzerland, and thus a whopping amount of resorts between Mont Blanc and Lake Geneva, the ski area features 286 ski slopes and 30 terrain parks, serviced by 196 lifts with 99 restaurants on the slopes in total. Offering more than 600km of skiing, Portes du Soleil ranks among the largest ski areas in the world. Portes du Soleil comprises three valleys that cover twelve linked Alpine resorts in total. Excluding the time spent on ski lifts, the ski destination guarantees 40 hours of skiing pleasure for advanced skiers with 32 black runs, 57 hours for intermediate skiers with 101 red-marked runs, and 82 hours for beginners with 119 designated blue runs. The 34 green runs are also not to be forgotten for both families with ski novices and skiers learning from the start. Featuring 75.5 km of skiing on 6 blacks, 14 designated red, 25 blue, and 4 green slopes, Avoriaz is the most modern resort of the Portes du Soleil and is located on a south-facing plateau high above the Morzine valley. 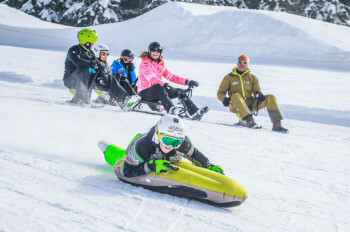 It is a hub for plenty of winter activities such as husky sledging, snow mountainbiking, and ice-diving, and a state-of-the-art ski resort with horse-drawn sleds instead of cars making for a truly special atmosphere. Morzine-Avoriaz and its 120 km of skiing guarantees a 100% authentic French Alps experience. It is as typical Savoyard as is Les Gets, which is accredited “Famille Plus Montagne“ - treating children like kings. Both abovementioned are home to a spa, offering massages and relaxing treatments. Their wooden chalets and fairy lights hanging from ornate lamp posts let every visitor fall in love with them. Another ski resort in Vallée d'Aulps is St Jean d'Aulps, located at the foot of Roc d'Enfer and being home to 50 km of skiing which offer plenty of choices for all levels and disciplines. Montriond is home to world-renowned ski slopes and the longest one of the Portes du Soleil ski area – plus, the village is a favorite with foodies: L'Abricotine runs for 8 km from the peak marking the border with Switzerland down to the Ardent cable car. Abondance is full of local traditions and natural beauty. Besides, it offers a wide range of winter acitivities like cross-country skiing, snowshoe walks, ice driving, and husky sledging. Apart from ski slopes suiting all levels, there are spaces dedicated to children's needs. In La Chapelle d'Abondance, 6 designated green, 12 blue, and 5 red slopes are at their visitors' disposal. White and wide open ski meadows meet authentic views and a charming, traditional village resort. Located on the French-Swiss border, Châtel is the epitome of powder reserve. Just like Les Gets, it is a “Famille Plus Montagne“ ski resort, ensuring great quality family times. 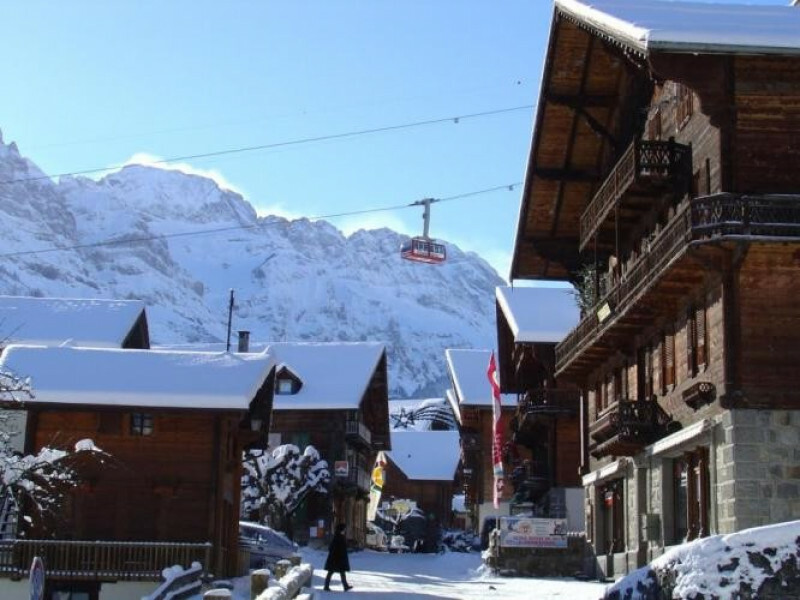 Champéry is an idyllic Swiss mountain village with great dining and sports options. Have you always wanted to participate in a curling session or fulfill your dream of being an on-ice princess? Well, then Champéry is your go-to! Morgins not only offers magnificent views of the Dents-du-Midi mountains, it is also home to the crème de la crème of Alpine restaurants and leisure activities. Torgon and its 83 km of skiing comprise 9 designated green slopes, 15 blue runs, 15 red-marked slopes, and 6 diamond runs. There is geocaching and a kids' quiz trail as well as a children's sledging area making it a small, but cute family-friendly resort. Are you overwhelmed by the amount of ski resorts presented above? Great news: There is still one missing! Val-d'illiez Les Crosets Champoussin guarantee an authentic, peaceful setting, with their chalets set against the mountains: Grant yourself some self-pampering in the spa or enjoy the floodlit slopes during night skiing. Whatever you might do: Val-d'illiez Les Crosets Champoussin as part of Portes du Soleil is well worth exploring. © Chatel Tourisme The ski area features 286 ski slopes and 30 terrain parks, serviced by 196 lifts with 99 restaurants on the slopes in total. 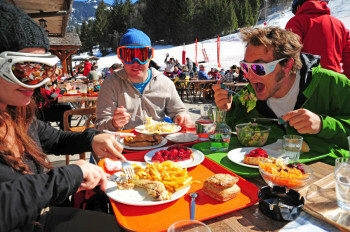 A paradise for hungry skiers! Portes du Soleil offers almost 100 different mountain hut and dining options, which equals exactly one thing: You definitely will not have to worry about food ever! A visit to La Tovassiere in Morgins, located at 1700 metres above sea level, certainly makes for a special experience. The hut, which is over 100 years old, supplies you with traditional Valaisan specialities. The rustic hut La Kinkerne in Morzine is also worth a visit, providing you with hearty dishes to keep you going on the mountain. © Chatel Tourisme Besides the ski areas most famous slope, La Chavanette, there are plenty of other runs worth checking out. Excellent news: There are 286 slopes to choose from! 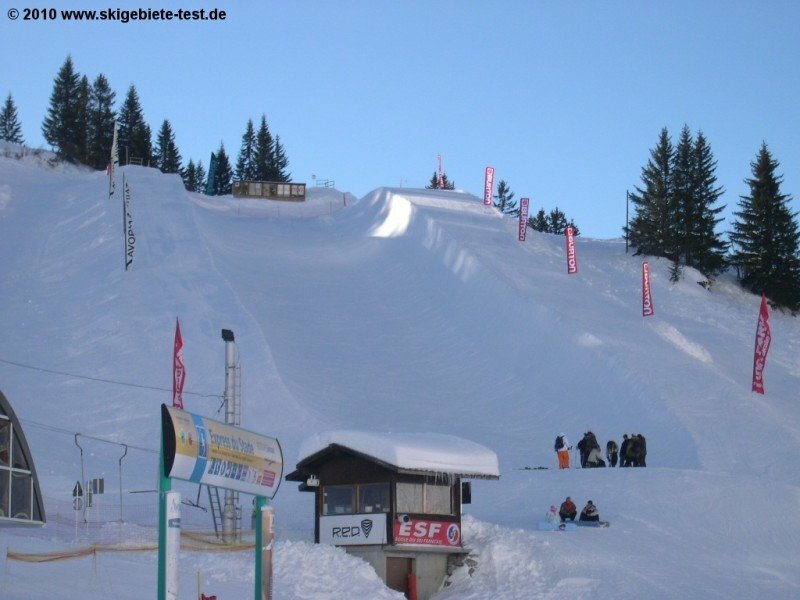 The most famous slope of the ski area is Le Pas de Chavanette, also known as the "Swiss Wall". 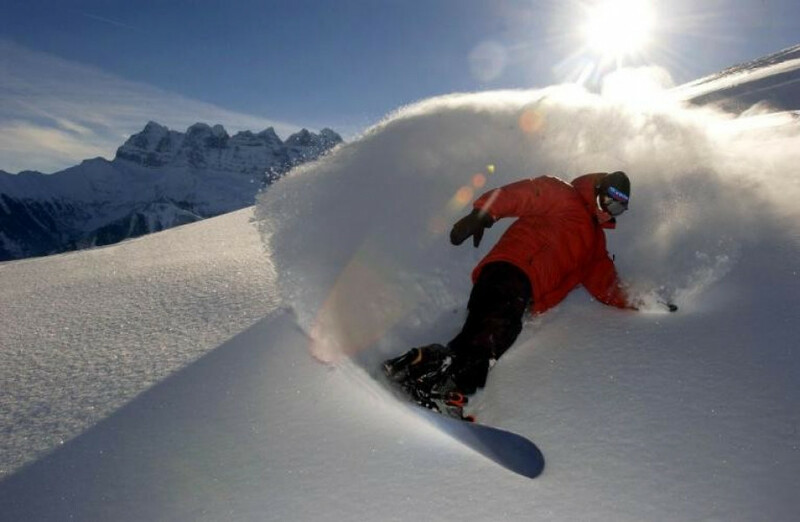 It is a particularly steep and difficult piste that can be reached from the French resort of Avoriaz. The slope is classified as orange, meaning it is too difficult as to fit in the standard classification. © Chatel Tourisme Portes du Soleil offers a huge number of acitivities apart from shredding down the mountain. Plus: There are options of things to do for adults and kids alike. 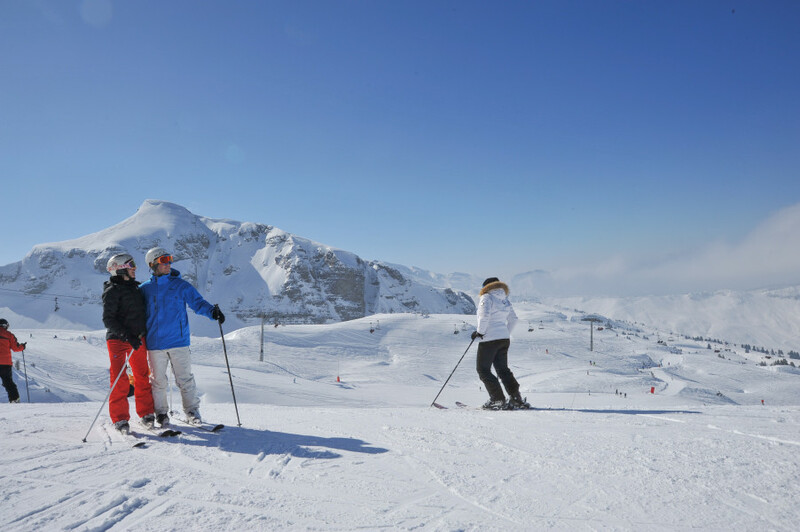 Leisure activities at Portes du Soleil are as varied as the significant number of slopes. Whether you are strolling through the snow attending a snowshoe hike or you try ice diving, there are plenty of fantastic acitivities, both on the more quiet and the exciting side. Another great acitivity for families with kids is a geocaching session; for those, who just like to get some self-pampering quality time: There are several spa and massage options to choose from! Fans of après ski will find numerous bars and clubs in the valleys. Particularly in the largest town of Morzine there are plenty of places to go out. The lounge called La Cachette, the Jaja Bar, and Le Yak (which is the only late night club in Avoriaz) are also three go-to spots in Avoriaz. Moreover, going from piste to party has also never been easier here, as you are free to ski directly to all the bars. For a very alpine après you should pay a visit to the Igloo Bar, at the bottom of the Arrare run. With its beautiful ice carvings, music, and ice cold beverages to sip it is a must. A traditional restaurant in Les Gets is La R'Mise, where savoyades specialties are served. Set in a gorgeous location with a large terrace and views of Mont Blanc is La Grand Ourse. They offer traditional menus, hearty soups with fresh bread as well as pizza and pasta dishes. La Paika is another rustic wooden chalet, and thus extremely charming, offering hearty main courses and delicious desserts. Le Bistro in Avoriaz, which was recently refurbished, serves traditional and modern European fare. L'Etale in Morzine is a low key restaurant that is always busy as can be. It offers neat portions of international dishes and, of course, Savoyard specials. © Chatel Tourisme Getting to the ski area is as easy as it seems to be in this picture over here: The Portes du Soleil region is, thanks to Geneva International Airport, within reach of all major European cities. Located in the heart of the Western Alps, between Lake Geneva and Mont Blanc, the Portes du Soleil region is only an hour's drive from Geneva and is thus within easy reach of all major European cities. The Portes du Soleil area is just an hour drive from Geneva International Airport, which is approached by 49 airlines. Bus shuttle services are provided to take you to the resort of your choice. Getting here from France, the A40 goes to the foot of the Portes du Soleil's peaks - same for the A9 in Switzerland. the best holidya ive ever been on . I stayed in Avoriaz like 2 weeks ago now and i miss it like crazy ! was absolutley fantastic !! !